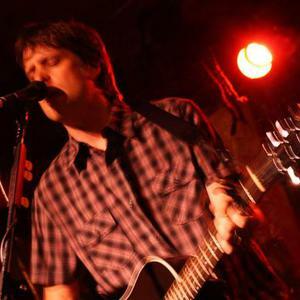 Jeremy Porter is the guitarist/singer/songwriter for the Detroit based Americana/Rock/Powerpop band Fidrych. He was a founding member and front man for seminal Detroit bands The Offramps (2000-2008) and SlugBug (1992-2000). He has been touring, recording and playing out with these bands (and others) since he was 16 years old, garnering a reputation as a skilled songsmith and guitarist. Jeremy grew up in the Upper Peninsula of Michigan where he was a founding member of one of the UP's first punk bands ? The Regulars. Jeremy grew up in the Upper Peninsula of Michigan where he was a founding member of one of the UP's first punk bands ? The Regulars. He maintains many ties to the area and often incorporates those ties, locations and stories into his songwriting. In late 2008, Jeremy began working on his first solo album, Party of One. In 2009 he played several local and regional shows and toured the Midwest, hitting many key markets including Nashville, Tulsa, St. Louis, and multiple gigs in Chicago. In January of 2010, Party of One was released on Magwheel Records, a Toronto based independent label with an impressive roster that includes Chino, Feerless Freep, and a posthumous rarities compilation from legendary Canadian punk-pop pioneers The Nils. The tracks on Party of One range from the full-band-power-pop that people have come to expect from Jeremy to quieter, darker and acoustic songs. A full media blitz, national solo-acoustic tour, videos, and more are planned for 2010.